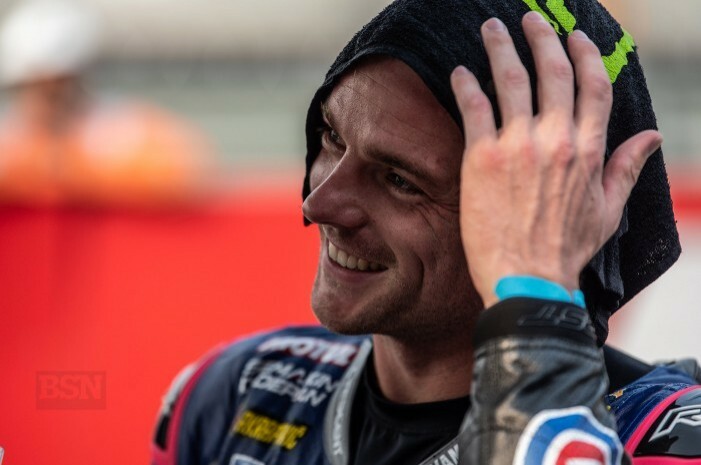 The strongest weekend that was realistically possible right now for Alex Lowes and Pata Yamaha saw him secure two more podiums in the Sunday races in Thailand, to add to his third place from race one on Saturday. Lowes rode well to stay with Jonathan Rea in the final 20-lap race of the weekend, but again had to give ground as the final laps unfolded. “There were some parts of the track where my bike was working really well and I actually felt I had some advantage on Jonathan, being able to turn the bike into a nice position. That was real good,” Lowes told bikesportnews.com. The ability of his bike to turn well is one of the few advantages that the Yamaha in general has, now there is a faster Kawasaki in a straight line again, and that the fastest thing of all in 2019 is an all-new Ducati V4. Lowes is one of four potential Yamaha podium men, all of whom placed well inside the top ten in each race. But only Lowes was able to podium three times from three. “I do not know,” said Lowes about why he and not the other R1 riders were on such top form. “Sandro is riding with the most corner speed when he has a lot of grip. Like a 600 rider. There is no way I could keep corner speed like that. Michael rides really strong on the brakes and we all ride quite a lot different. I would say I ride quite a lot similar on the data to Michael. We are both quite strong on the brakes and trying to stop the bike and get good exits, although the Yamaha is naturally good in turning. To beat the Kawasakis we need to be strong on the brakes and be able to fight, especially with new tyres. The issue for Lowes is that although he was on such consistently fast form, and the best of his Yamaha peers, he was also pretty far behind the top Ducati and even the top Kawasaki in both long races. And third again in the sprint over what turned out to be only six laps. He is not sure how much of this differential in pace will continue. “Honestly, I was not that far off Jonathan,” said Lowes. “If I did not have the problems at the end I think I could have been less than one second. “I do not think my bike was working much worse than his, to be honest. I feel if I do my best I feel I should be close to the Kawasaki guys. The Ducati guy; I do not know because I never saw him all weekend. I passed him in the first race, and he passed me back up the start/finish straight. He ran wide and then cut it back. I did not really see him. The wobble that was evident from Melandri’s bike is not as bad as it looks, according to Lowes. “It is not that scary. When I have been behind him it is not that bad. He sort of makes it worse sometimes. It cannot go from happening one lap to not happening the next. I cannot understand why. There could be a consequence for Lowes and co., if Melandri tries to take the engineering direction his way for this specific reason, said Lowes. “I just hope now, because I have listened to some comments, I hope that Yamaha do not try to put a lot of effort into fixing this problem for him. “It sounds like they are going to try to do some things, but obviously that is going to take effort away from what we are doing. So, they need to make sure that they keep the focus. We are meant to be the main team, even though we are all equal at the minute. I just don’t want him to take the focus off that. “We are still too far away, still too far behind the Ducati and Kawasaki so let’s keep working hard. We have four Yamaha riders; same contracts and bonuses - everything is the same. But I must stress that Marco is a big help really; the way he rides is technically so great it is a big help for Yamaha.